This week's SmackDown Live is the fifth SmackDown after Royal Rumble 2018 on Jan. 28, 2018! Press F5 or refresh for more updates during the show. Smackdown opens with John Cena! "LA, folks, come on in and sit down, we are rocking tonight! Mixed emotions, but rocking nonetheless! This is Smackdown Live, I am John Cena! Let me tell you why I am here. I am here for the same reason that 99.9% of the Smackdown Superstars are. The only Smackdown Superstar with a guaranteed match at Wrestlemania is Shinsuke Nakamura! So I, like everybody else, am trying to find my way into Wrestlemania! In less than two weeks at Fastlane, there is a Fatal 5-Way Championship match. I want in. I am not here for a handout, I am here to do whatever it takes to earn a spot in this match. So let's cut to the chase, and get right down to what I have to do to earn a spot at Wrestlemania!" Shane comes out. "What's up, Los Angeles! 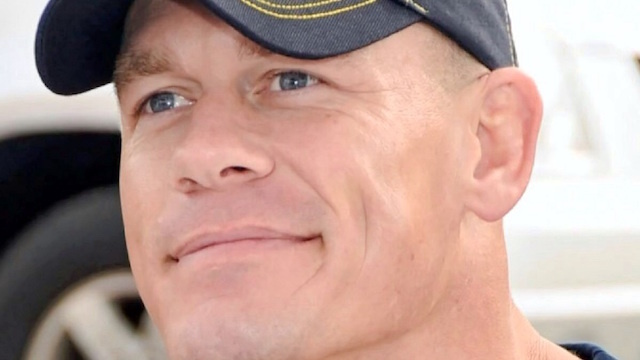 John Cena, one of the greatest Superstars in WWE history, live here tonight. Welcome, John! We've all heard what you've had to say, and a Superstar of your magnitude, everybody is looking for their path on that road. But what you're proposing puts you directly in the WWE Championship match." "And half the folks here want me to win that match, and half want me to lose, so I think it's a great idea that I'm in that." "Again, the pathway that you propose puts you smack dab in the middle of the WWE Championship match at Fastlane in two weeks' time, where, if you won, not only would you go on to main event Wrestlemania, if you won, history would be made, because you would be walking into Wrestlemania the 17-time world heavyweight champion. Now this is the land of opportunity, however, there's a lot of--"
Daniel Bryan comes out. "Thank you very much. Shane, I actually think tonight we're on the same page. Because Smackdown is the land of opportunity, and every Superstar in that Fatal 5-Way Match earned their opportunity. So we're going to give you what everyone else gets. Main event of Smackdown Live, if you win, you're in the match." "Main event of Smackdown Live. If I win, I'm in. Who am I facing?" "Your opponent is someone you're very familiar with. None other than the WWE Champion AJ Styles!" Shane joins Daniel Bryan and the crowd in a "Yes!" chant, then shakes his hand and shoots him a look of endorsement. Lockup, Corbin presses Zayn to the corner, misses a clothesline, Zayn slaps his chest, jumps to the floor, back in, Corbin tosses him across the ring, Zayn lands on the floor, Corbin follows, Zayn with kicks, punches, tosses Corbin into the announce table, Corbin climbs back into the ring, Zayn with a punch, Corbin tosses him to the floor, into the barricade, charges, Zayn presses him to the floor, backstage Shane and Daniel are arguing over whether Owens should be allowed on commentary, Zayn punches away on Corbin on the floor, commercial. Back on air, Zayn has Corbin in a chinlock, Corbin punches his way out, charges, Zayn ducks, Corbin hits the ring post, Shane has popcorn backstage now, Zayn up top, leaps, Corbin with a chokeslam backbreaker, sets Zayn up top, Zayn with punches, Tornado DDT, reversed into a powerslam, blocked with a shove, Corbin hits the floor, runs back in the ring and hits a clothesline, Zayn with a punch, tosses Corbin to the floor, suicide dive, caught, Corbin tosses Zayn onto the announce table while staring at Owens, rolls Zayn into the ring, Zayn with a rollup for two, punch, chop, tornado DDT for two, Dolph Ziggler runs in and superkicks Kevin Owens in the side of the head, Zayn with an elbow to Corbin, charges, Corbin catches him for End of Days for three. Ziggler hits Corbin with a Zig Zag. After a commercial, backstage, Sami is complaining about what just happened. He and KO run into Shane McMahon, who makes fun of them and suggests collusion between Bryan, KO, and Sami. Trading forearms, Ruby with a knee, whip to the corner, Naomi with a springboard stinkface (that's what I'm calling the move from now on), slap, both women to the floor, staredown with their respective teams, commercial. Back on air, Ruby has Naomi in a full nelson in the middle of the ring, transitions to a chinlock, mutual kick, Naomi with more kicks, dropkick, running back elbow, another, knee to the gut, whip, Beautiful Disaster for two, jackknife for two, whip, Rear View, blocked, Ruby with a punch, Naomi to the apron, kick, goes up top, misses a leap, hits a flip kick to the face, bulldog to the corner, blocked, Naomi hits the turnbuckle alone, Ruby hits a Riott Kick for three. The guy from Unsolved shows up backstage and walks into the Fashion Police headquarters. Breeze jokes that they actually do solve all their cases, the actor whose name I didn't pay that much attention to says that they aren't real cases. Fandango introduces Big E, the actor says his show is about Biggie, not Big E. Big E then raps. The actor points out he's not actually a detective, just an actor. New Day hit the ring. Woods: "With Wrestlemania season in full swing, your boys, the New Day, are looking to secure a new position on the grandest stage of them all." Kofi: "But first, Fastlane. Where we take on two of our greatest rivals. We're talking about two guys who have pushed us to our limit, I think you know who I'm talking about, I'm talking about Jey and Jim, The Usos. E: "And hoo boy, that rivalry is hoter than my inner thighs in the summer. And the winter. Spritz me." Kofi Spritzes him a third time. Woods: "And as everyone knows, The Usos are our greatest rivals. And every time we got in the ring, we tore the house down. So we're going to do it again and walk out your WWE World Tag Team Champions!" Kofi: "So when we get our titles back, we'll walk into the Big Easy as champions, because... New! Day rocks!" The Usos come out. "There they go talking again, Uce, spreading the power of positivity. They're right, we did tear the house down. But only one team was left standing. We used to be just like you. We used to come out here singing, dancing, looking like a bag of Skittles. But that got us nowhere. You talk about the power of positivity? We been here nine years, grinding away. And we've been overlooked. We're making it to Wrestlemania. For the first time! We've been grinding for nine years, we've been sidelined every year! But we're going to Wrestlemania this year! This year, we are the all-stars, this year, we are the MVP! This year, we going to the championship game, we're on the field, you on the sideline! Fastlane! You've been five years in the past! We will retain, because we got the Uso Penn--"
E: "Five years! Where have you been? We've been winning championships, setting records! We didn't sit on the sidelines, we rushed the field! We didn't get here because of our daddies, we got here because we are the best! And we will beat you again and become not the one-time, not the two-time, not the three-time, not the four-time, the five-time tag team champions, and there's not a damn thing either of you two can do about it!" The Bludgeon Brothers come out. They stare down both teams, who walk off. They show a clip from earlier today where Aiden and Rusev confront Shane about being left off the show recently. Shane gives Aiden a match against Shinsuke. Dolph Ziggler vows to beat everyone via hand-cam. Backstage, Bobby Roode says in an interview that Orton is jealous that Roode ranked higher than him on the Smackdown Top 10 list. Orton walks in and says he just wants the title. Aiden English is in the ring, and he sings a song about being the only true artist, not Shinsuke. Shinsuke with a chop, English twists an arm, Shinsuke flips his way out, reverses pressure, Aiden with a boot, Shinsuke with a kick, knee to he gut, knee drop, misses a kick, English to the floor, Shinsuke with a boot, rolls English into the ring, Rusev kicks Shinsuke, commercial. Back on air, English with a stomp in the corner, toss to the adjacent corner, sets him up top, Shinsuke with punches, knocks English down, Rusev with a distraction, English with a running hip attack, spinebuster for two, stomp, whip to the corner, charges, Shinsuke sets him up sideways, misses a knee, English with a top rope crossbody, Shinsuke with a kick, punches, roundhouse kicks, enziguri, whip to the corner, running knee, Kinshasa for three. Lockup, AJ with a rear waistlock, Cena with an elbow, punches, snapmare for one, chinlock, transitions to a side headlock, AJ whips out, Cena with a shoulder tackle, punches, punches in the corner, snapmare, cover for two, chinlock, transitions to a half nelson with an armbar, AJ with an elbow, chops, whip, Cena with a boot to the face, tornado DDT for two, commercial. Back on air, Cena with a protoplex, You Can't See Me, Five-Knuckle Shuffle, AA, blocked, AJ with an Ushigoroshi, Styles Clash, blocked, Cena with a catapult to the corner, fallaway slam into a TKO for two, Super AA, blocked, AJ hits a torture rack spin-out powerbomb for two, Styles Clash, blocked, Cena with a fireman's carry, into a facebuster for two, clothesline for two, charges, AJ with an enziguri, commercial. Back on air, it's revealed that both men hit their finishers for two during the commercial. That's an odd editing choice. AJ hits a clothesline for two, lionsault, misses, Cena hits a Code Red for two, locks in an STF, AJ rolls him over and covers for two, Cena charges, misses, hits the top turnbuckle, AJ hits a Phenomenal Forearm for two, climbs to the apron, springboard 450, Cena blocks with knees, AA, rolls into another AA, AJ blocks by falling to the apron, then the floor, Cena charges, AJ ducks and Cena hits the steel steps, AJ drags him up, Cena rebounds and hits an AA through the announce table, AJ tries to make it to his feet, beats the count at 9, Cena goes for another AA, AJ rolls him into the Calf Crusher, Cena rolls him into an AA for three. Cena's going to Fastlane, folks! And not against Shinsuke, which means Shinsuke is still definitely going to Wrestlemania! I ain't even mad. KO and Sami come out, Corbin attacks AJ and Cena, KO and Sami join him, Dolph comes out and superkicks all three heels. He celebrates with AJ and Cena, then punches AJ. Cena hits Ziggler with an AA to close the show.